This empire silver pot belly sterling silver baby cup is a cherished collectible for families to treasure for generations to come. 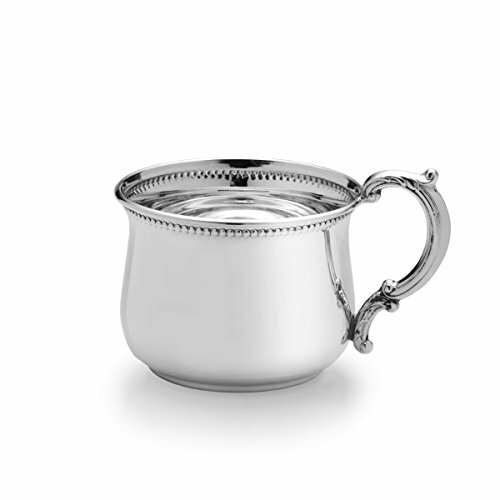 The cup features a luxurious bead trim just below the rim, is polished to a gleaming finish, and is perfect for engraving with a meaningful monogram or date. Accented by a scrolled handle and signature bulged shape, this sterling baby cup will delight the parents as much as the baby. Comes packaged in a gift box with a protective fabric pouch. Measures 2-1/8 inches high and 2-3/4 inches in diameter.